Atlantis tends to go later, often to 4am, (and then for those who haven't danced enough, with an after hours club). RSVP only goes to about 2am. Mexico cruises skew a little younger, Europe, Asia, Australia, So. America tend to skew a little older. RSVP tends to have more bears, daddies, mature men. Average age is mid-50's. Of course, there are always a wide range of ages and types on board and, generally speaking, most everyone is friendly. RSVP always has their big costume party toward the end of the cruise, and Atlantis always has their big White Party. parties. On either one, though, the music is always great, with top name D.J. 's, lights, and always some fun surprises. singles, with fun dinners, pre-dinner cocktail gatherings, etc. Couples experience a freedom not found in the real world. world is a wonderful experience. 5. Women are always welcome on RSVP and Atlantis. They both have very few women, with RSVP maybe having a little more. You won't usually find more than 5% of women on either. Other than these differences, the biggest difference will be the ship, destination and itinerary. These, of course, vary greatly with RSVP doing Alaska every two or three years, Atlantis doing Australia/New Zealand, Asia, South America every two or three years. They both always have one or two Caribbean cruises and Atlantis does big ships to Europe in the summer while RSVP usually does a few Small Ship River Cruises. As always, with any vacation, it's all what you make it. Atlantis and RSVP do all they can to make sure you have a great trip and I will do everything I can to make your journey before the vacation as hassle free as possible. I hope when you book your all gay cruise you'll book with me. After more than 100 cruises and counting, I've finally sailed on Crystal Cruises. I had the pleasure of sailing on the Crystal Serenity in May and it is WORTH IT. 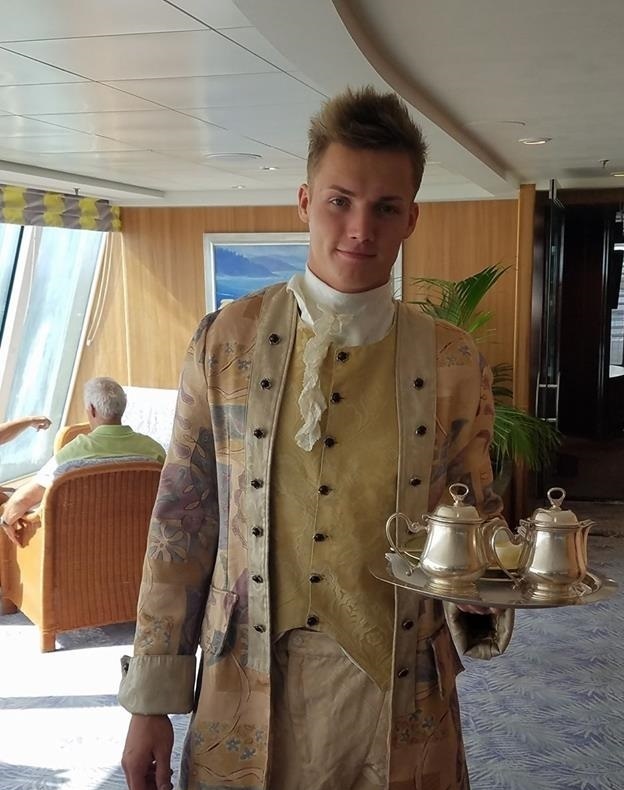 I've sailed on Celebrity, Disney, Cunard, Holland America, Royal Caribbean, Princess, Norwegian, Carnival, Windjammer, and Amadeus and they all pale in comparison. No better service. No better cuisine. No better inclusions. INCLUDEDS: All meals, including 2 nights in their specialty restaurants, all drinks, fine wine, champagne, top shelf, martinis, soda, coffees, afternoon teas. Room service. TIPS INCLUDED! Booking with our agency usually gets you a few hundred dollars in on board credits. I got a massage and it was one of the best ever on a cruise. They call it "All Exclusive". The only draw backs, I'd say, is that the shops are VERY expensive and there's not even a sundry shop, which I found odd. Of course, if you need anything, they have it on board and would probably give it to you. Highlights: Amadeus Afternoon High Tea, with special music and delicious delights. Spa: Quiet. Included. Dry sauna and steam room, separate from women's side. Almost nobody ever in there. Great entertainment: One of the original members of The 5th Dimension was our special guest entertainer. FOOD: ALL OF IT. Most Amazing meals in Prego and Nobu's Silk Road and the dining room meals were best ever. And even their buffets were perfect. Staff: Best staff. Attentive, friendly, courteous. 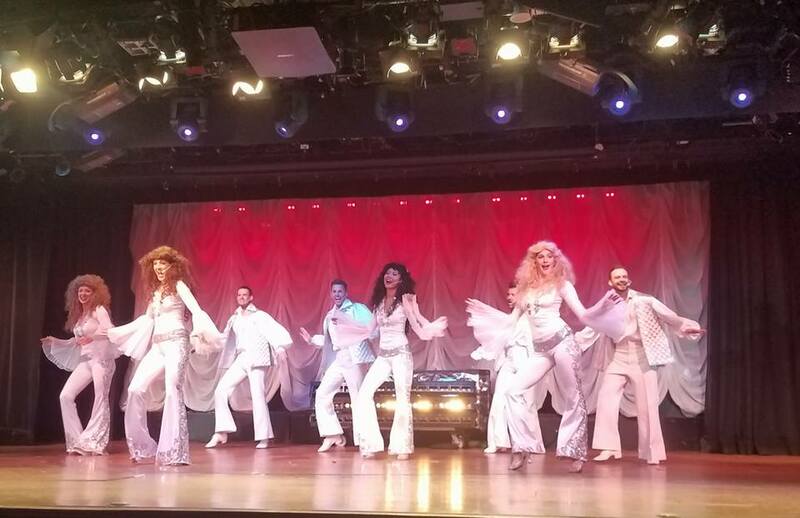 Honestly, I cannot wait to go on another Crystal Cruise! Who wants to join me!? Happy Holidays, Merry Christmas, Feliz Navidad, Happy Hannukah and Blessed Festivus! â€‹I love this time of year! People are shopping and feasting and partying and praising Jesus and looking forward to Santa and giving gifts to each other to show how much they care for each other. I love, especially, and am thankful daily, for being born and raised in Southern California. I stay home for the winter. It's in the mid-60's, which is cold to me, but, not to most folks in America and the world. â€‹So, if you're in a colder climate and want to thaw out a little, be sure to contact me. I can help you with cruises, tours, packages, hotels. And when you book these things there is NEVER A FEE. â€‹Hope you enjoy your holidays, at home or away, knowing that you are loved. As most of you know, I've lost about 60lbs over the past year or so. I hope to give you some good health travel tips. Don't we all seem to gain 10lbs on every trip we take? Why? "Because we're on vacation"! That's the best excuse ever to go for it with food. Especially at the buffets, the 4 star dining, and with all the drinking. Face it, we ALL go overboard when we travel (no pun intended). Here are my tips for keeping the weight down while you're away from home. 1. Don't consider yourself on a diet break. If you watch your weight at home, watch it when you travel. Sure, splurge here and there, but, don't make it every meal and every day. You probably worked hard to lose weight FOR your trip, why ruin all the advances you made. Pick the best things and taste at things, too. Don't feel like you have to eat everything. There's going to be more tomorrow. 2. Choose cheese as a dessert. If you have a high sugar and calorie dessert at every meal on a cruise you will gain 10lbs. Sugar is the devil. If you must eat it, be selective and don't do it every day. Skip sweets for a day. Cheese is high in protein, natural and goes great with nuts and fruit. You can skip the crackers which just fill you up with empty carbs. 3. Eat lower carb foods. You can eat more if you don't eat heavy carbs like pasta, bread and rice. Meat, cheese, fruit, veggies, beans, nuts, etc. You can fill up on these and not feel as stuffed when paired with the breads and pastas. 4. Take a walk. Sometimes on a cruise or tour all we do is lay around or ride around. Be sure, if you're not on a walking tour doing this, then you get to the gym or to the track and spend an hour on a brisk walk. You can listen to music, or like I do, pray and meditate. It's good for the body and GREAT for the soul. If you can't walk, swim. If you can't swim, do the elliptical. If you pysically can do something, just do SOMETHING. 5. Don't drink all day. Alcohol is empty calories. The fruity, sweet blended drinks are the worst and just full of badness in a delicious glass of joy. Better choices: Bloody Mary. Vodka and soda. Light beers. Wine. If you like rum and coke, make it diet coke. If you like gin and tonic, make it gin and soda. Sometimes being at sea, especially at the start of a cruise, can exaggerate the effects of alcohol, so, on the 1st night of a cruise, especially, be careful not to drink too much. Clear alcohol and soda water is the best. I get a splash of cranberry which adds just enough flavor without a lot of the sugars you get from fruit juices. Vodka, soda and a splash for flavor is the best. These are all things that I've done to help me get in the best shape of my life. I try to be as diligent as possible, but, of course, sometimes we just have to let go. Especially when we travel. Just remember to take care of yourself while you're home or away. Don't go crazy and keep healthy habits no matter where you are. And, most important advice you can ever get: Always use sunscreen. 1. Pay it forward. The most important reason to use CWP is to keep me in business. Cruising With Pride, as I'm sure you are aware, is just me, Tom Stephens, your gay travel specialist. As a small business owner I need your support to survive. So, instead of filling the RICH pockets of the owners at Atlantis Events, book your cruise with me. It costs the same, but, the small commission they give keeps me in the lifestyle to which I've grown accustomed. 2. Again, IT COSTS THE SAME! Heck, sometimes you can actually save money because one of my clients with a less expensive cabin needs to sell it and then you can buy it from me. I work hard to get you the lowest prices and the best deals out there. 4. Special personalized service. You aren't talking to an order taker, you're talking to a friend. I've traveled with many of my clients, I call them friends and family. I will take the time with you to make sure you're getting the best deal for your time and money. Plus, I can help you with hotels, air, insurance, etc. 5. First to know. I'll let you know in advance when the new cruises are coming. I investigate and snoop around and get the scoop so you're the first to know and can set aside dates and plan ahead so that when it is on sale you'll be one step ahead. Those frequent flyer seats sell out far in advance of Atlantis and RSVP announcements of events. The sooner you know the better. 6. I'll wait on hold for you. When RSVP and Atlantis announce their sales, they can have hold times of 10, 20, 30 minutes and more. You call me, give me all your details on the phone or email or even texts (I can't believe it, but, I have made reservations via text now). Then I call them and wait for you while you're off doing your thing. Simple as that. 7. "THANK YOU". I truly do appreciate my clients and hope they will continue to tell their friends about me here. It's the best "THANK YOU" that I could ever receive. "Wow! What a great trip! And Wow! What a great group of men! I couldn't say it any better than this. 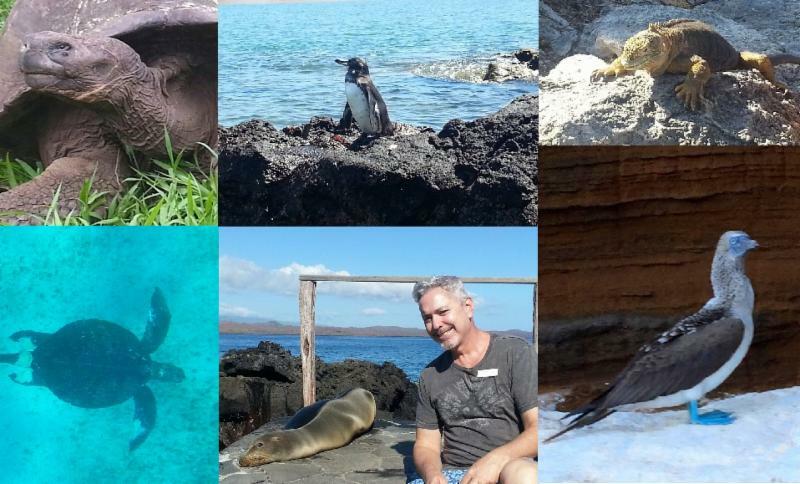 My trip with Brand "g" to the Galapagos was truly one of the best trips in my life. It's amazing how the animals have no fear of humans. Birds stay still and sit within inches of you without flinching. Giant tortoises look into your eyes with their ancient faces that remind you of alien creatures, sea lions swim by you, lay around without budging when you almost walk on them, and are so curious they will come up to you and nip at your toes. Snorkeling with penguins, giant sea turtles and sharks, watching Blue Footed Boobies feed their chicks up close, beautiful iguanas who've adapted over the millenia to their environment; there are no words to adequately describe it. You must experience it for yourself. 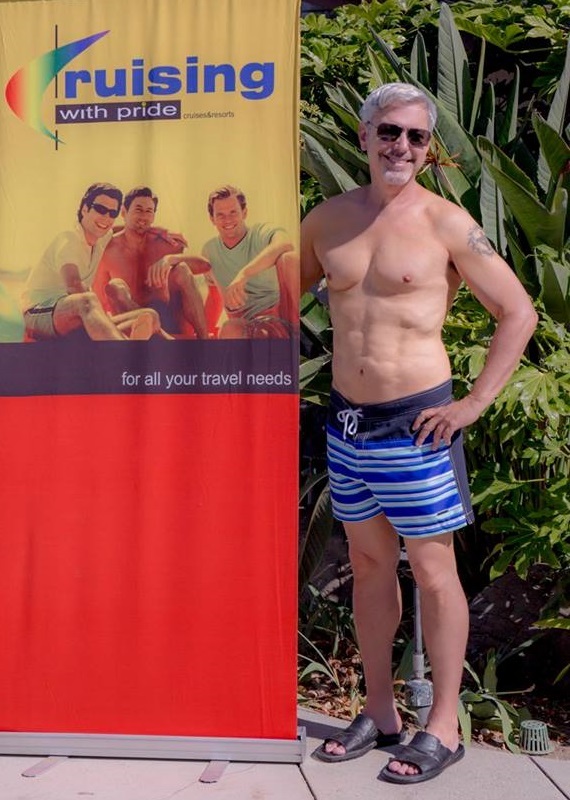 Thomas Stanley is one of the world’s experts on gay and lesbian travel. He knows and understands the gay and lesbian travel market and knows well the kinds of concerns that gay and lesbian travelers have that others may not be aware of, such as the fact that in some countries it is a criminal offense to be homosexual and it often carries harsh penalties. Here is his listing of the world’s most gay-friendly destinations. South Africa is one of the most gay-friendly destinations in the world, Stanley said, and in some ways it is the most advanced country in its attitude toward gays. The modern republic of South Africa, which is only a little more than 20 years in existence, was founded on Nelson Mandela’s vision of the Rainbow Nation, a place where all people respect each other regardless of differences in race, religion, etc., and where diversity is not only tolerated, it is celebrated. Turning to Northern Africa and the Middle East, Stanley said, “Israel is extremely gay friendly, though they don’t allow gay marriage. In Europe, Stanley rates Spain as the most gay-friendly destination, with Portugal coming in second. “To me Spain is the most gay-friendly country on earth,” said Stanley. 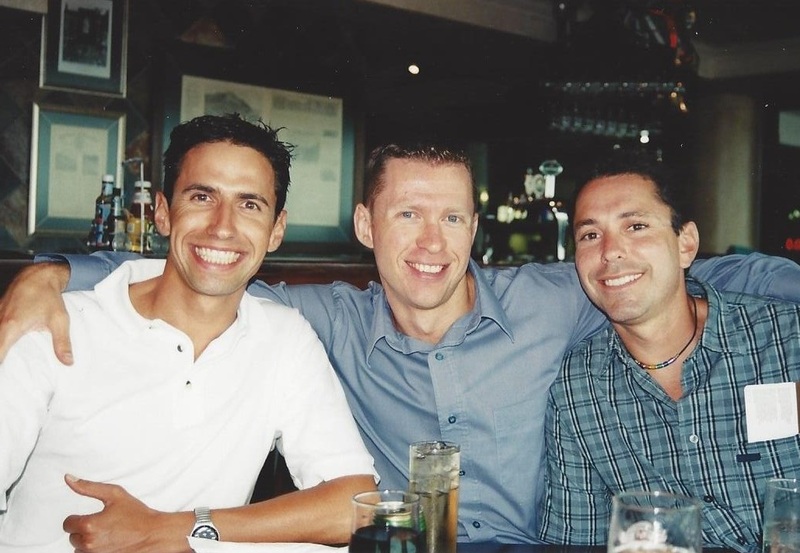 “It was one of the early countries to adopt gay marriage. It actively welcomes gay tourists, and markets to gay tourists. Spain and Portugal are probably the friendliest countries in Europe for gay people. “Sweden would probably be the next one,” said Stanley, “and Iceland. Iceland is extremely gay friendly. Almost all of Western Europe tends to be gay friendly, certainly gay tolerant. In Eastern Europe it’s a different story. It’s legal to be gay in pretty much all of Eastern Europe. That said, certain countries, like Serbia, Ukraine and Russia, you don’t dare be open in public in those countries or you face threat of arrest or violence. In Asia, Thailand and Taiwan are the most gay-friendly countries. “For the most part, the Buddhist countries are gay tolerant, gay accepting. Malaysia is not tolerant. Bangladesh and Pakistan are not tolerant. Muslim countries are not gay friendly. Indonesia is a Muslim country, but it also has Hindus in Bali It tends to be gay tolerant. Singapore is kind of neutral. They discourage gay events or affection, but people don’t get arrested. China, Japan and Korea are gay tolerant countries. “They are used to seeing gay people,” said Stanley. “South American for the most part is good for gay people,” said Stanley. “Brazil, Argentina, Uruguay and Colombia are gay friendly. Almost all the other countries are tolerant. Probably the least tolerant are Venezuela and Guiana. In Guiana, it’s illegal to be gay. In Central America, the most gay-friendly destinations are Costa Rica and Mexico. “Mexico is very gay friendly,” said Stanley, “and has gay marriage now. There is one country in Central America where it is illegal to be gay and even to enter the country, and that is Belize. That said, gay clients who go to Belize, the hotels typically take care of them very well. But you’re actually committing a crime by entering Belize if you’re gay. “In the Caribbean, painting in broad strokes, the Spanish- French- and Dutch-speaking islands tend to be very gay tolerant, including Cuba, Dominican Republic, Puerto Rico and St Marten. Curacao actively woos gay customers. The government finances marketing campaigns to gay clients. There are issues with the English-speaking countries, in Jamaica, and there have been some issues with the Bahamas." In addition, Stanley cites Australia, New Zealand, French Polynesia and Nepal as all being very gay friendly. 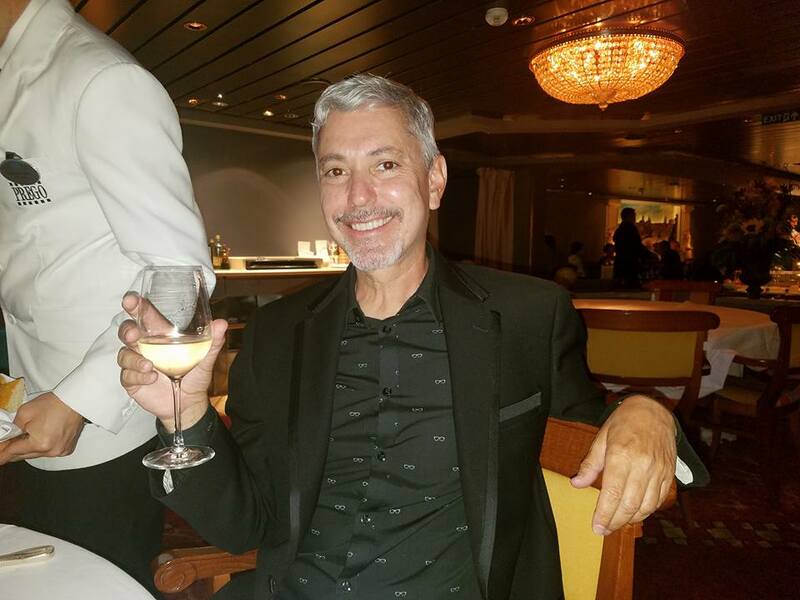 Cruising With Pride's Tom Stephens has been specializing in gay cruises, gay group cruise, gay tours, gay vacations, and all other travel needs since 1994.